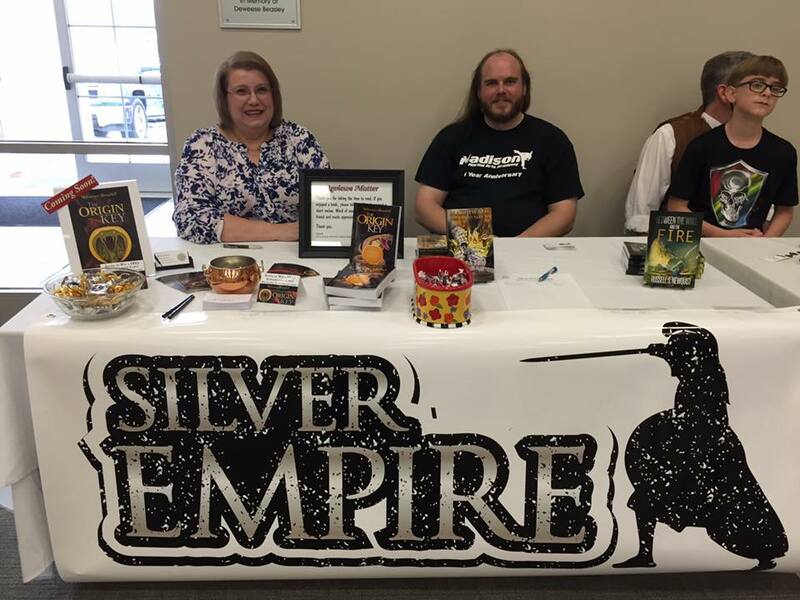 Listen to Silver Empire author S.D. McPhail on GeekGab with Daddy Warpig and Brian Niemeier. And after you listen, pick up her book: Treasures of Dodrazeb: The Origin Key. Silver Empire authors S.D. McPhail (left) and Russell Newquist (right) at the second annual Catfish Literary Fiestival. Yesterday my friend S.D. McPhail and I set up shop at the second annual Catfish Literary Festival at the Athens-Limestone Public Library. We got lucky – they gave us the table right by the door! We had a good number of people come by. We sold a few autographed books and gave away a few, including five pre-release advance review copies of Susan’s upcoming novel, Treasures of Dodrazeb: The Origin Key with a special collectible cover. Susan and I also had a chance to sit on a science fiction and fantasy panel. We got to discuss some of our writing processes, influences, and thoughts on the genre. We also got put on the spot trying to convince one audience member who had never read any science fiction. I thought my case was strong, but I have to confess that Susan got in the better answer! I have now promised Deacon Dan that he will be written into a future story, so keep an eye out for him in future installments of The Tales of Peter Bishop! I also got a chance to catch up with a few other authors that I met last year at the Rocket City Lit Fest, including Ashley Chappell and C.L. Bevill. It was great to see them again. Finally, I had a great time chatting with everyone who came by our booth. We look forward to seeing all of you again next year! 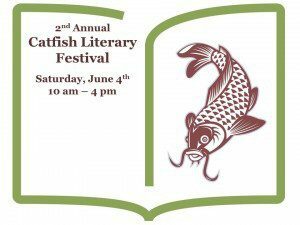 I will be appearing at the second annual Catfish Literary Festival on June 4th at the Athens-Limestone County Public Library in Athens, Alabama. Silver Empire will have a booth at the event and author S.D. McPhail, author of the Treasures of Dodrazeb series, will be joining me for book signings. The Catfish Festival will be your first chance to get copies of our upcoming anthology, Between the Wall and the Fire, and we’ll have a limited number of advance review copies of Ms. McPhail’s upcoming novel, The Origin Key. Ms. McPhail will also be joining me for the fantasy/sci-fi panel at 12:20. Come on out and see us!